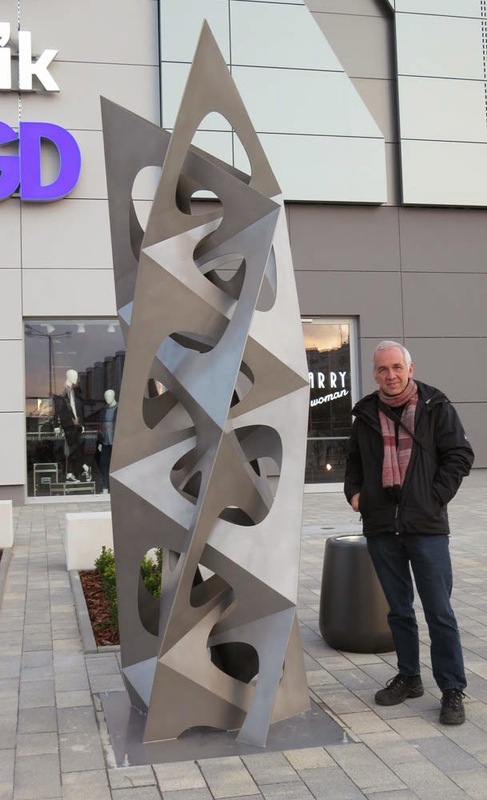 If you have an interest in art, or in mathematics, since last April 10th you can find a piece of inspiration at the front door of the Centrum Handlowym Ogrody in Elblag, Poland. "The sculpture is an example of the new uniform polyhedra that I discovered two years ago. I was able to explore this new group of mathematical shapes with Rhino and Grasshopper. The Polish town Elblag commissioned me to make this sculpture in steel, height about 3.20 meters", says Rinus Roelofs, the artist of this sculpture, who is also a Rhino teacher, user, and value-added reseller.